Once they can synthesise molecules of active natural substances, scientists will be able to harness nature’s medicine cabinet for the drugs of the future. By testing newly developed synthesising processes and catalysts, a project funded by the Austrian Science Fund FWF managed to produce the promising natural substance Brefeldin A faster and in larger quantities. In its day, penicillin was discovered by accident. Many people know the story of Alexander Fleming who returned to his lab in London after a holiday and found mould on a culture plate with a bacteria culture that had not grown. Further tests revealed that the mould killed gram-positive bacteria but was well tolerated by human beings. It took years until Fleming’s colleagues were able to use penicillin as a lifesaving antibiotic. Today, scientists screen nature’s medicine cabinet very systematically and test the effect of natural substances. In order to do that, they need significantly more than just a drop of plant sap or fungal secretion. The Austrian Science Fund FWF awarded an Erwin-Schrödinger grant to Michael Fuchs, a university assistant at the University of Graz, so he could spend 18 months doing research at the German Max-Planck-Institut für Kohlenforschung. Like penicillin, Brefeldin A is derived from an unremarkable fungal mould (Penicillium brefeldianum). This natural substance breaks the protein transport chains in eukaryotic cells. As a consequence, the cellular protein factory (Golgi apparatus) disintegrates and the cell dies. “Brefeldin A has been shown to inhibit the uncontrolled growth of a multitude of human cancer cell lines. The first attempt to use the substance in clinical trials failed, however, because the molecule degrades and is excreted very quickly”, Michael Fuchs says in explaining the status quo. The potent substance can be extracted by fermenting the fungus or it can be built from scratch step by step in the laboratory. Previously used routes of synthesis never produced a yield of more than 15 milligrams. To remedy that situation, this basic research project focused on a faster synthesis of larger amounts of the substance and on the experimental testing of newly developed synthetical methods and catalysts with the help of the complex target molecule. One crucial aspect was the precise construction of a trans-configured double bond. The beneficial effect of a compound is determined by the exact spatial orientation of the chemical groups forming it. Scientists distinguish ‘cis’ and ‘trans’ orientations. At best, one of the two may be ineffective; at worst it may be harmful. The construction process at the lab consists of 16 successive steps, with each step adding new elements to the growing molecule. The reactions are initiated with catalysts and fed with substrates. “In the last but one step we identified an unexpected side product which reduces the amount of end product gained”, notes Michael Fuchs. Nevertheless, the new method still resulted in an output of ca. 500 milligrams of Brefeldin A, representing a 30-fold amount of what had been obtained previously. 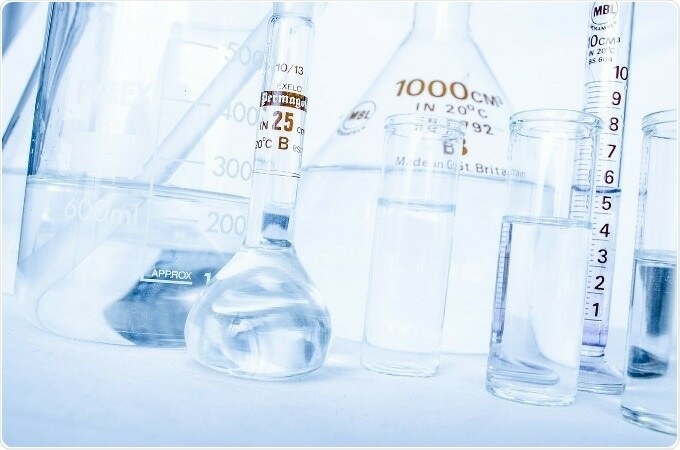 The chemist conducted further experiments which enabled him to stop the process at the desired stage and take a closer look at the intermediate product. The gained insight allows further improvement of the catalyst in order to have the reaction run to completion. Once the building plan is known exactly, the next step can be to produce derivatives by introducing small chemical modifications. Derivatives of natural substances are an established way of remedying shortcomings – such as (too) fast degradation. Back in Graz, Michael Fuchs is currently working on synthesising natural substances by means of ecologically harmless bio-catalytic processes.